Shelly is sending you a call to unpack your gifts. You are packed perfectly for your journey, and we are created to serve in teams and communities. We are one family. 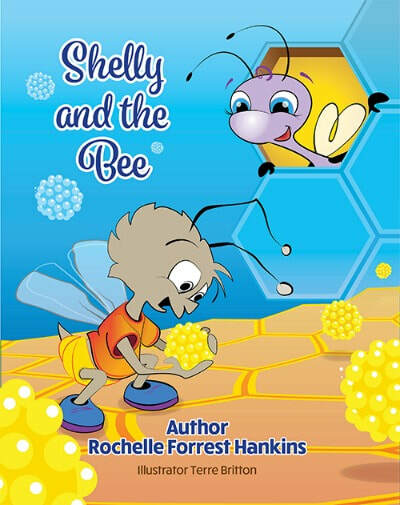 Join Shelly and her new friend Benny the Bee to learn how easy it is to overlook help from others, how important it is to see and understand our differences from one another, and how simple it is to accept help, and maybe solve a problem along the way. It’s an Adventure! When Shelly makes a new friend at the pond, she isn’t sure what to make of him. How can you be friends with someone who keeps changing so much? And how does he do it? Happily, Shelly has good friends who help her learn a very important lesson. Looks don’t matter! 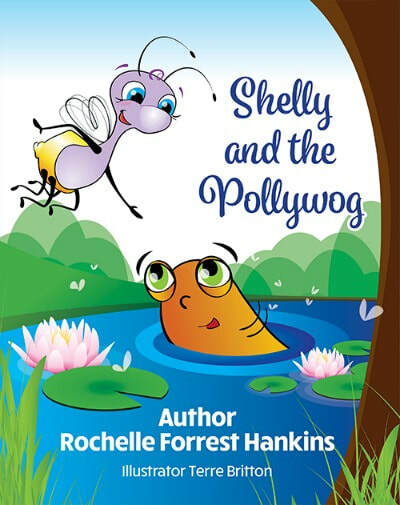 "Shelly and the Pollywog" continues the adventures of "Shelly the Lightning Bug". Shelly visits with her friends from "Shelly and the Circle of Light" and they help her learn the importance of character over looks, and how to value what is inside. This engaging story opens an opportunity for dialog on a critical issue while offering lovable and relatable characters. It’s an Adventure! 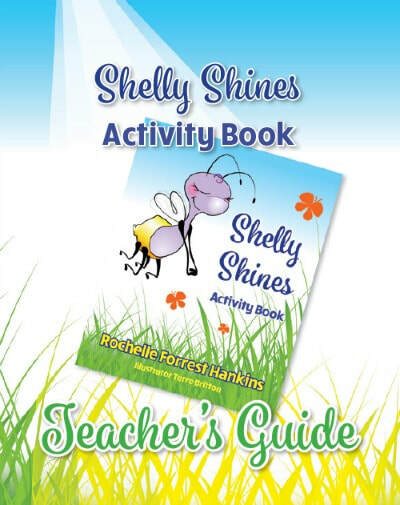 The Shelly Shines Activity Book takes children through a learning adventure. Each lesson teaches important concepts that help children grow in the areas of sharing and caring. The workbook lays out lessons, activities, and even has space for children to reflect on what they’ve learned and how positive it makes them feel. Learning can be fun! Shelly was a very curious little bug. She asked her mommy and poppy, “What are we? What is our purpose in life?” But her parents did not have an answer for her. She sets out into the forest to find her answers and along the way she meets many interesting characters. Her adventure teaches Shelly that everyone has a special place and a job to do, even her! 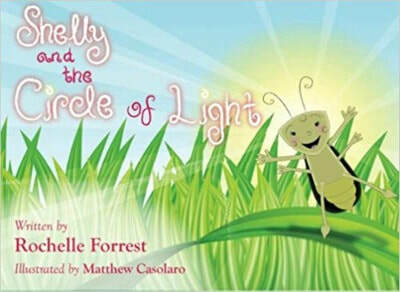 Shelly and the Circle of Light is the touching story of a young lightening bug looking for her purpose in life. 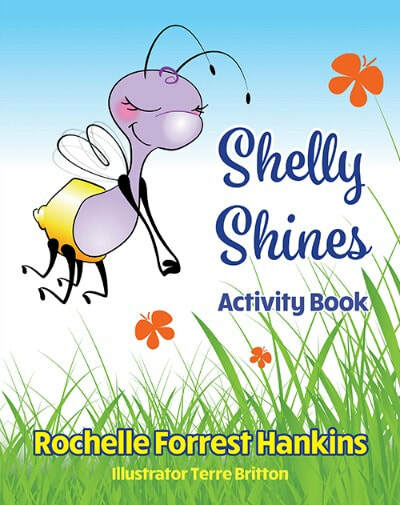 Shelly's journey speaks of perseverance and determination in a way that is engaging and fun for young readers and those who read to them. This action-oriented approach is balanced with a nurturing and empathic spirit. 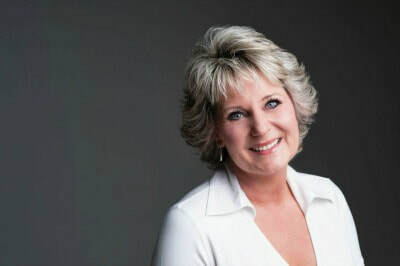 While reading this book you will take a journey that will teach you how to uncover and connect with your own inner brilliance as you reignite your inner light. Do you wish you had more vitality and energy? Has your life fallen into a rut because you lack the energy to live your dreams? Do you want to re-ignite your soul’s purpose and find your true passion? It’s time to re-ignite your inner light! 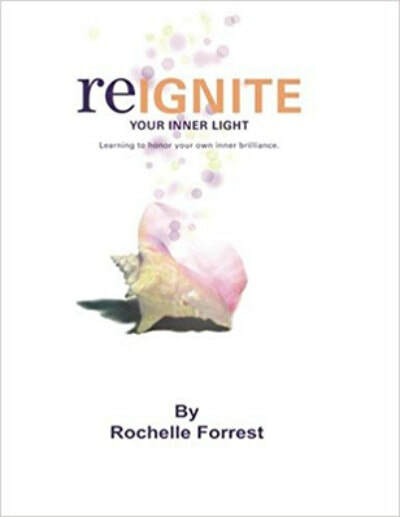 Re-ignite Your Inner Light is a guide that will lead you to greater health and wholeness through practical suggestions and no-nonsense advice. This action-oriented approach is balanced with a nurturing and empathic spirit. 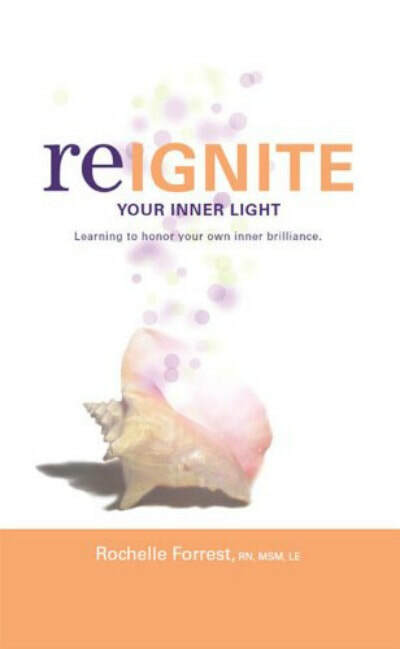 While reading this book you will take a journey that will teach you how to uncover and connect with your own inner brilliance as you reignite your inner light. - Are you tired of feeling tired? - Do you wish you had more vitality and energy? - Has your life fallen into a rut because you lack the energy to live your dreams? - Do you want to re-ignite your soul's purpose and find your true passion? Time to re-ignite your inner light!